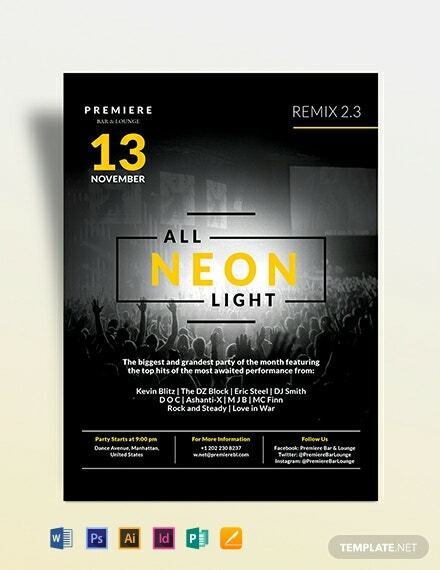 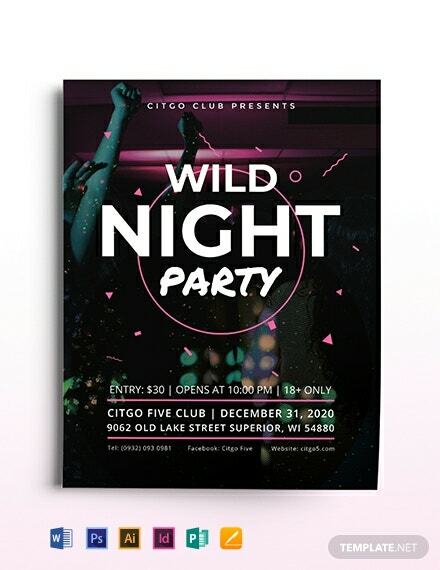 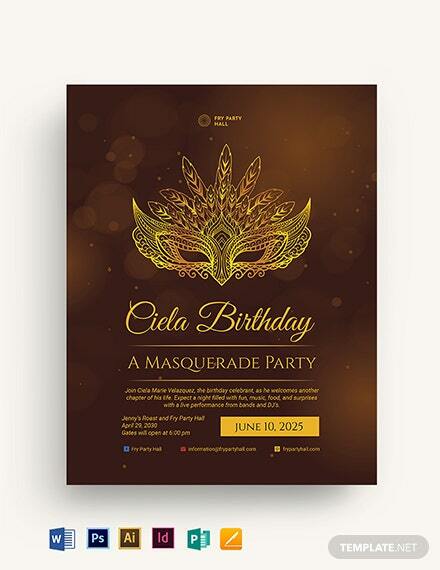 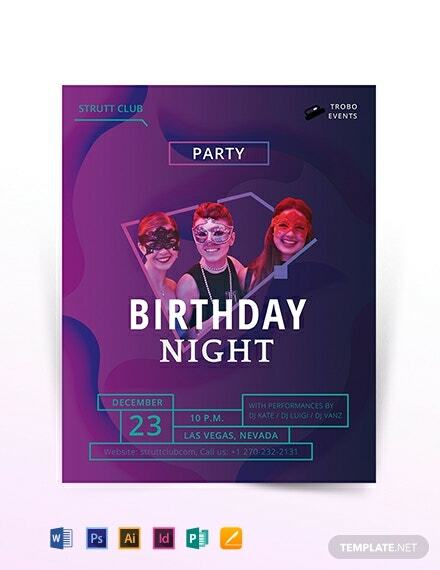 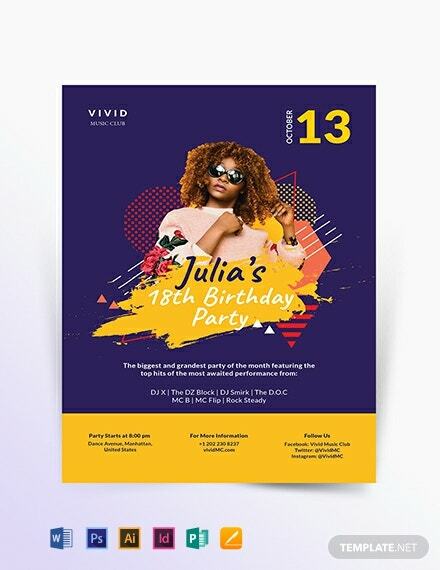 This flyer template hits all the right notes when it comes to a night club design. 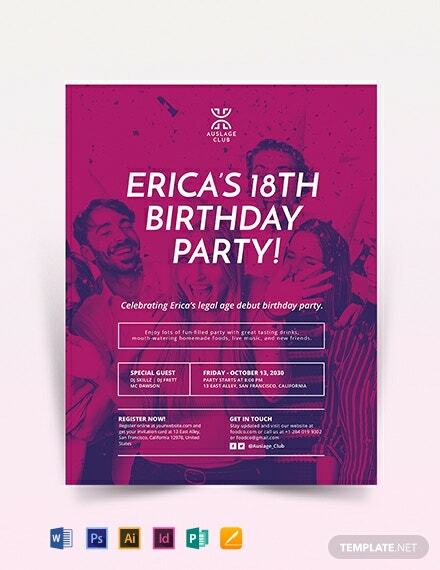 The colors are properly used along with an attention-grabbing text. 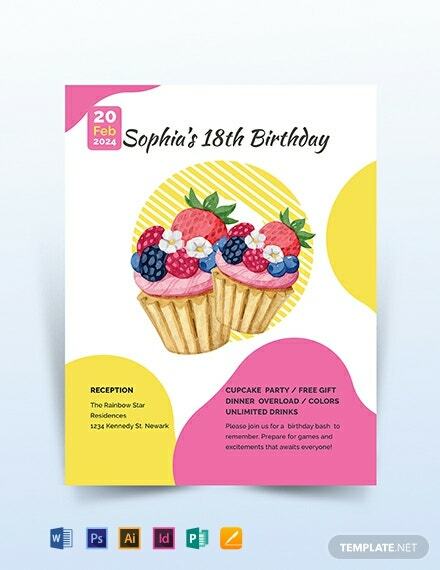 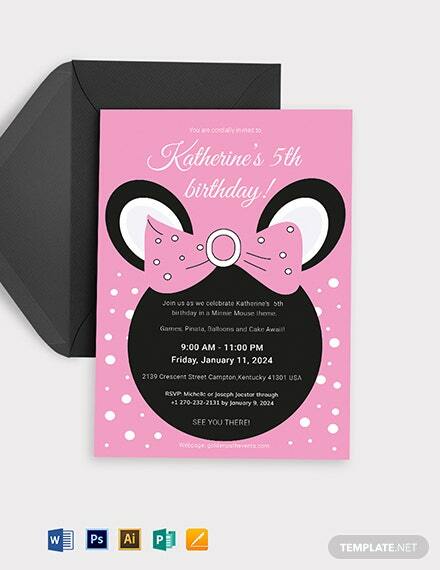 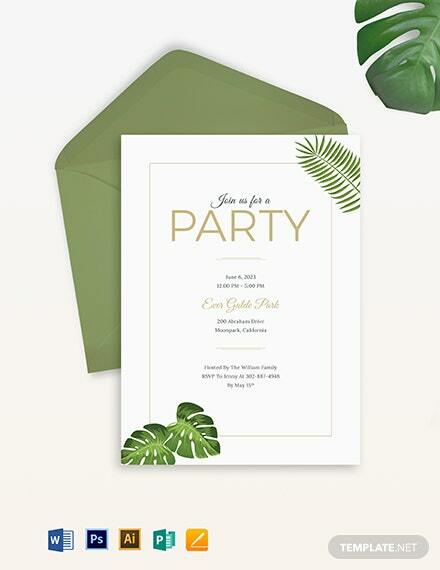 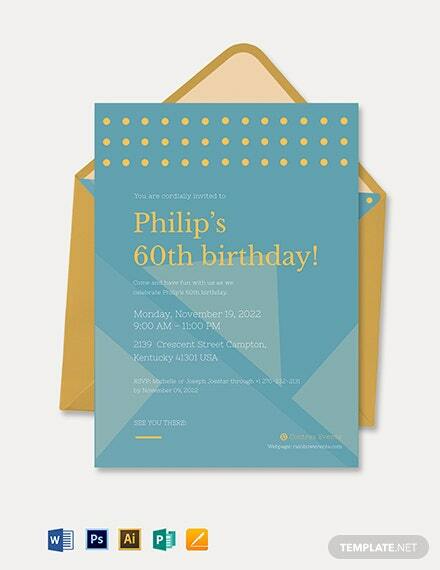 What makes this template more useful is +More it can also be used as a birthday invitation. 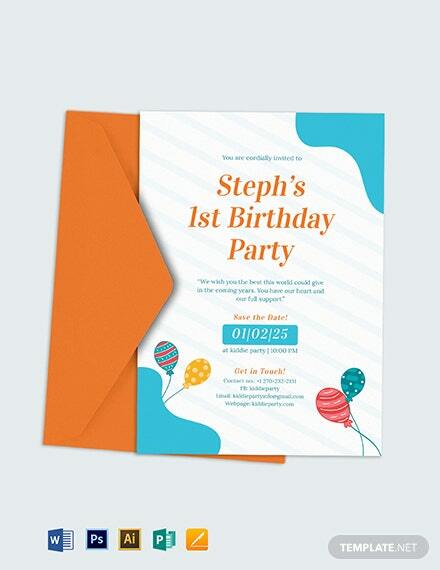 This template is editable and customizable as well.